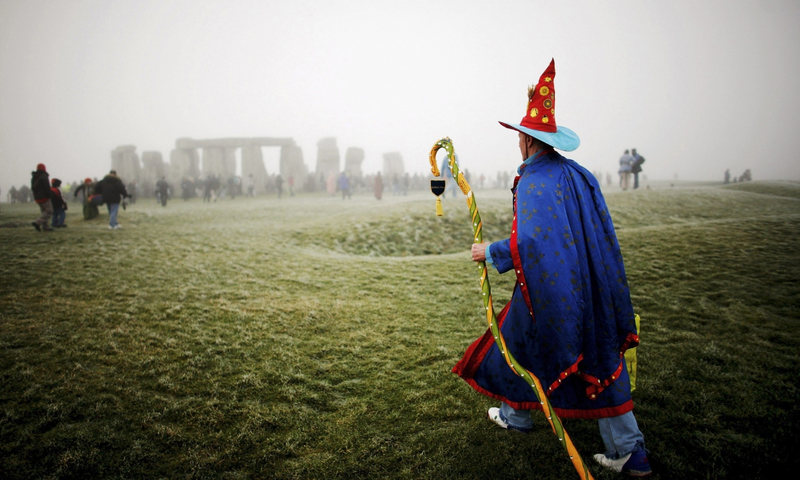 Solstice celebrations – marking the shortest day and longest night of the year – happen right across the UK. 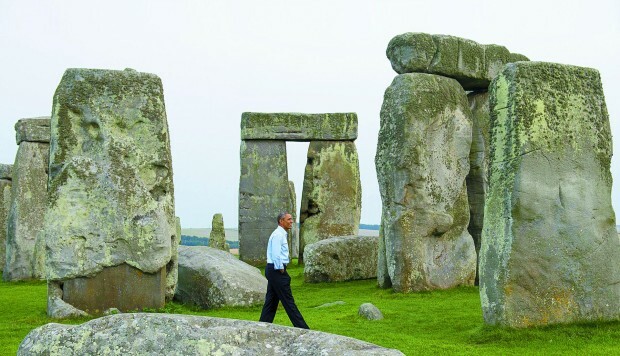 But one of the focal points for the festivities will always be the prehistoric monument of Stonehenge. Each year, thousands descend on this field in Wiltshire to see the sun rise above the stones. Expect to see the druid and pagan communities out in full force, dressed in magnificent costumes and singing incantations within the circle. This year, the solstice takes place on 22 December, rather than the 21st, and you’ll be able to arrive at the monument as soon as the light begins to break. A contemporary winter solstice celebration (and the most modern event on this list), the Burning the Clocks festival was conceived in Brighton in 1994 as a community event to be enjoyed, regardless of faith, and it takes place on the beach. 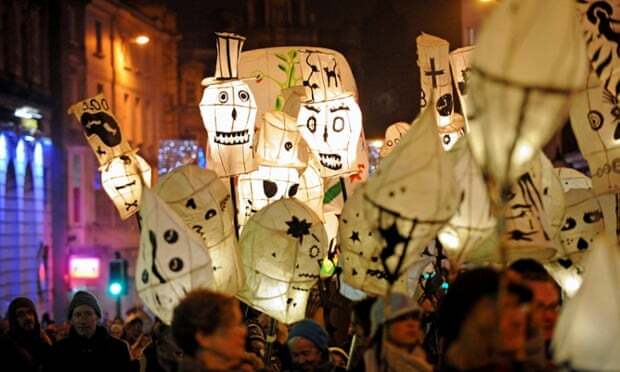 Around 20,000 spectators turn up to witness the procession of light, which consists of a parade of luminous willow lanterns that are passed into a blazing bonfire. The event concludes with a huge fire show and firework display that lights up the seafront. The Ba is an annual custom in which hundreds of men and boys take to the streets to embark on a medieval football match. It has been described as more like a “civil war” than a game. Windows are boarded up in preparation for the self-refereed melee in Kirkwall, capital of the Orkneys. 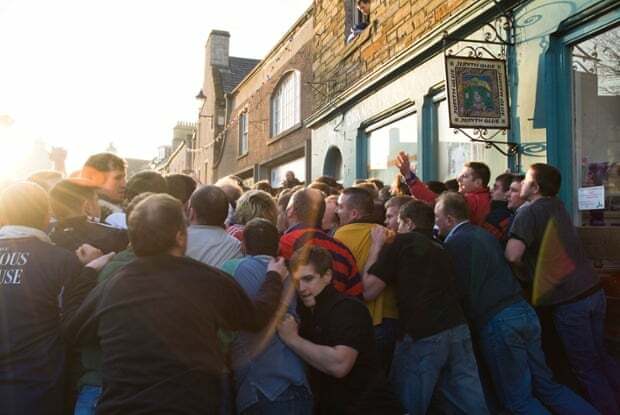 The two teams – the Uppies and the Doonies – battle for control of the leather “ba’”, attempting to wrestle it towards the areas of the town designated as the goals. Ribs have been broken in the scrum, but the event has a festival spirit that unites the entire town. One of many bizarre British Boxing day traditions, the Grantchester barrel rolling race is, well, pretty much as you’d imagine. 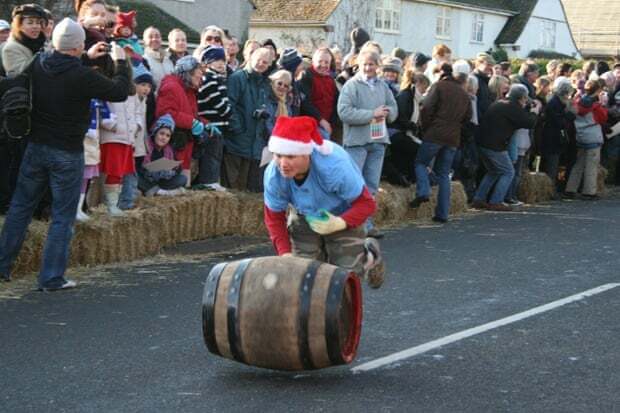 Four local teams roll large wooden barrels up and down the street in a relay race, which is followed by the “County Championship” race between teams from Grantchester and nearby villages of Barton, Coton and Newnham. Founded in the 1960s, the race fell out of favour until it was revived in 2003 and, in keeping with most trivial pursuits, concludes with a booze-up at the local Rupert Brooke pub. A bit like pantomimes, mummers plays are comic folk performances that have been performed around Europe since the Middle Ages. The tradition is kept alive by the likes of the Bristol Morris Men, who have performed the play every Boxing Day in the town of Keynsham since the idea was revived in the late 1970s (though records suggest the play originated in the town in the early 19th century). Expect melodrama, sword fighting and colourful costumes. Nothing brings out the competitive spirit like a game against the local rivals. 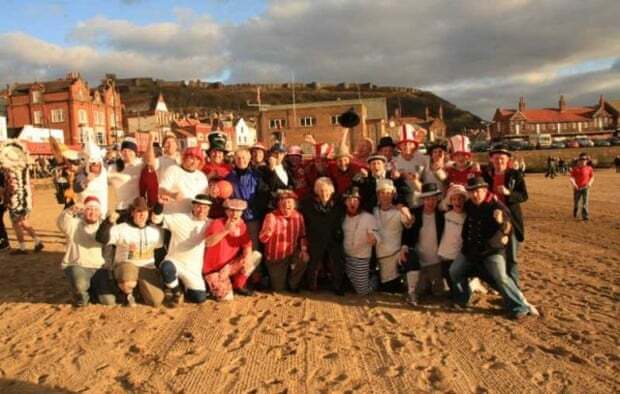 In Scarborough, the Boxing Day football match is a chance for local fishermen and firemen to thrash it out – in fancy dress – on the beach. One of the town’s oldest surviving customs, there’s evidence of the match taking place on the South Bay beach back in 1893. It started as a way of raising money for the families of four fishermen lost at sea, and now supports elderly or unwell people in the community. As this Stonehaven Fireball Association states proudly on its website, come rain, snow or storm “we have never cancelled”. This hardy 150-year-old fire ceremony is held on Hogmanay in Stonehaven, and is watched by thousands. When the Town House bell strikes midnight, the ceremony begins, with firedancers, known as “swingers”, making their way down the street, led by drummers and the Stonehaven Pipe Band and finishing with a firework display on the harbour. Setting whisky barrels full of tar alight is certainly one way to warm up on a winter’s evening. 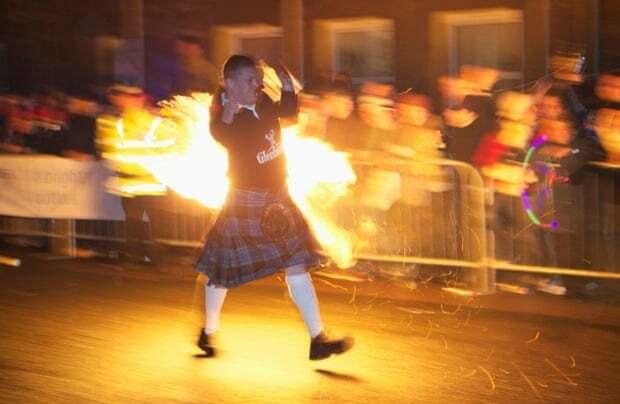 In existence since the dark ages, the Allendale Tar Barl festival is another fiery event, consisting of a Pagan ceremony led by “guisers” – an hereditary team of 45 barrel carriers in traditional costumes. 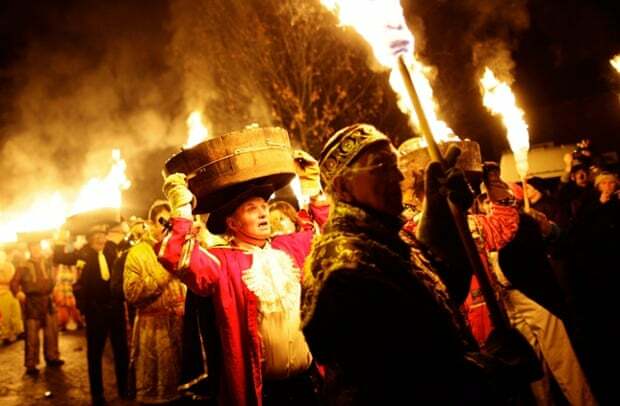 Whisky barrels filled with flaming tar are paraded across the town, before being thrown on to a huge bonfire. And on the 12th day of Christmas … a man with a feathery hat tried to smuggle a leather tube into his local pub. 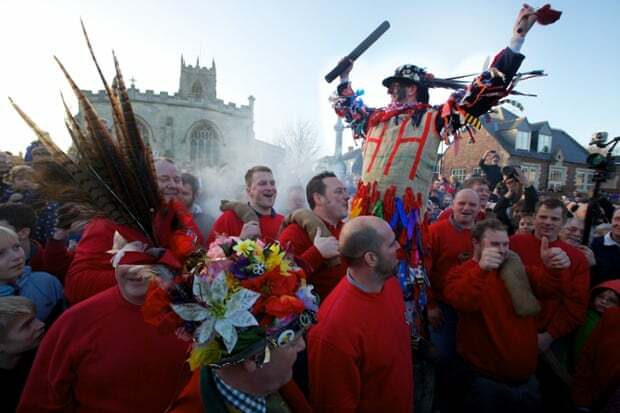 The event, in the parish of Haxey, north Lincolnshire, is not unlike the mass rugby/football games that take place in various parts of the country where there are far more participants than rules – a large, chaotic match in which locals try to manoeuvre the leather “hood” to one of four pubs. The game, which can go on well into the evening, ends once the hood arrives at a pub, where it remains until the following year. If anything is going to help lift the spirits above the dreary grind of January, it’s a man dressed head to toe in straw, dancing to folk music. 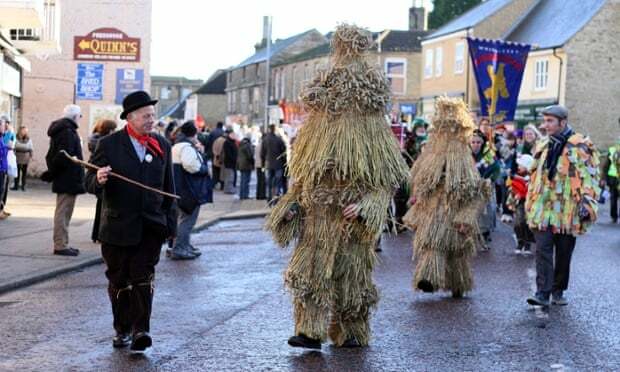 This Cambridgeshire festival includes barn dances and concerts, as well as a procession through the streets on Saturday with teams of Morris dancers and, of course, the belle of the ball: the straw bear. Come Sunday, however, the bear costume will go up in smoke during the “bear burning” ceremony, a symbolic act to leave the way open for the new harvest … and a new bear.